Christian church for the believer is a concept in which few church-goers may understand in today's world. The reason I say this is because of how various church organizations are set up nowadays in the attempts of gaining converts into their fold. 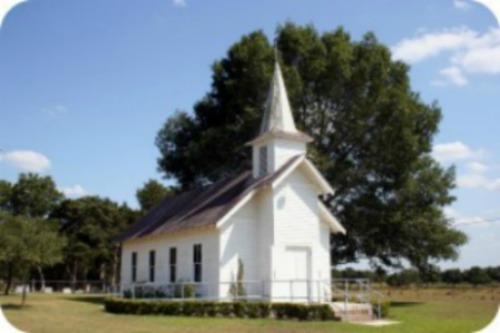 If you are a church-goer and/or are looking for a church to attend regularly, whether in your own neighborhood or outside of it, you will come across churches of many kinds, some of which are not very "spiritually-minded", or if they claim to be so, it could be of a different spirit, but perhaps not the Holy Spirit. You may think it's just a good idea to attend a Christian church on Sundays, even if it's not necessarily something you are driven to do. This could possibly be in the same category as brushing your teeth three times a day. It's a good idea because you know that brushing your teeth keeps them shiny and white and with fewer cavities. Could it be that going to church just gives you a good feeling that you're doing the right thing? Attending church provides you with the opportunity to socialize with others and be a part of committees, clubs, and other social activities you may not get otherwise. I've been in a few megachurches and even smaller congregations that have tons of social activities that offer a wide array of interesting past times that are not at all spiritual or church-related. You want to show off your new dress, suit, shoes, new hairdo, new nails, etc. to other members of the congregation. Perhaps on this particular Sunday morning you are looking good--cute or handsome, and you want to display yourself for all the church to see. You know what they say, "You wear your Sunday best on the Lord's Day". So it is obvious that you must show it off as well. The Christian music is pretty good. You may be attending a particular church for its music, with the grand choir and praise team. They may even have a band! But then again, would you go there just for the music? Isn't there something else about the church that is more meaningful? There are some Christian churches out there that are virtually operating solely by their music, whether it be through their magnificent orchestras, huge choirs, or their popular bands. During the holiday months you may attend more often because of their great programs, fellowship breakfasts, lunches, or dinners (you don't have to cook or clean up), and more activities to attend and be a part of. You have children and want to find a church where they will find friends to play with. Maybe this church has more activities for children, or perhaps a children's church where your kids will find playmates and are supervised by other adults. 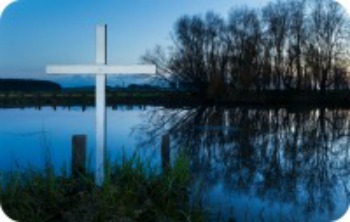 We, the Body of Christ, are all members, sharing together as one, in His suffering. It explains this in 1 Corinthians 12, which tells us, " For as the body is one, and hath many members, and all the members of that one body, being many, are one body: so also is Christ. For by one Spirit are we all baptized into one body. whether we be Jews or Gentiles, whether we be bond or free; and have been made all to drink into one Spirit. For the body is not one member, but many. But now hath God set the members every one of them in the body, as it hath pleased Him. For our comely parts have no need: But God hath tempered the body together, having given more abundant honor to that part which lacked. That there should be no schism in the body; but that the members should have the same care one for another. And whether one member suffer, all the members suffer with it; or one member be honored, all the members rejoice with it." And in Romans 8:17 we are reminded, "And if children, then heirs; heirs of God, and joint-heirs with Christ; if so be that we suffer with Him, that we may also be glorified together." Furthermore, in Philippians 3:10 it says, " That I may know Him, and the power of His resurrection, and the fellowship of His sufferings, being made comfortable unto His death.." Lastly, 2 Corinthians 1:7 exhorts, "And our hope of you is steadfast, knowing, that as ye are partakers of the sufferings, so shall ye be also of the consolation." He is the Head of the Christian church, This we see clearly, as it tells us in Colossians 1:18 where it says, "And He is the head of the body, the church: who is the beginning, the firstborn from the dead; that in all things He may have the preeminence." It tells us more in Ephesians 1:22, which says, " And hath put all things under His feet, and gave Him to be the head over all things to the church." Furthermore, in Ephesians 5:23 it reminds us also, " For the husband is the head of the wife, even as Christ is the head of the church: and He is the saviour of the body." Finally, it says in Colossians 2:10 that, " For we are His workmanship, created in Christ Jesus unto good works, which God hath before ordained that we should walk in them." He is the Cornerstone of the Christian church--Our cornerstone! It tells us so in Ephesians 2:19-22, " Now, therefore, you are no longer strangers and foreigners, but fellow citizens with the saints and members of the household of God, having been built on the foundation of the apostles and prophets, Jesus Christ Himself being the chief cornerstone, in whom the whole building, being fitted together, grows into a holy temple in the Lord, in whom you also are being built together for a dwelling place of God in the Spirit." And in Psalm 118:22 it says, "The stone which the builders refused is become the head stone of the corner." Before the early Christian church began, Jesus approached His disciples with a heartfelt command, which was to apply to them and every Christian following them thereafter until His return. It was told to them in Matthew 28:18-20 where it says, " And Jesus came and spake unto them saying,' All power is given unto Me in heaven and in earth. Go ye therefore, and teach all nations, baptizing them in the name of the Father, and of the Son, and of the Holy Ghost: teaching them to observe all things whatsoever I have commanded you: and, lo, I am with you always, even unto the end of the world. Amen.'" Also, we see in scripture where Jesus made the bold claim to His disciple, Peter in Matthew 16:18 when He said, "And I say also unto thee,' That thou art Peter, and upon this rock I will build My church; and the gates of Hell shall not prevail against it.'" To bring about the knowledge of the wisdom of God within the Christian church. Ephesians 3:10-11 explains this, " To the intent that now unto the principalities and powers in heavenly places might be known by the church the manifold wisdom of God according to the eternal purpose which He purposed in Christ Jesus our Lord." To present a holy Christian church to God, free of blemishes. It tells us in scripture from Ephesians 5:25-27 as we see that, "...Christ also loved the church and gave Himself for it; That He might sanctify it and cleanse it with the washing of water by the Word, that He might present it to Himself a glorious church, not having spot, or wrinkle, or any such thing; but that it should be holy and without blemish." To bring the Body of believers, the Christian church, together in unity for His honor and glory. Scripture gives us clear instruction on why this is important. These verses tell us why: In Deuteronomy 31:12-13 it says, "Gather the people together, men and women, and children, and thy stranger that is within thy gates, that they may hear, and that they may learn, and fear the Lord your God, and observe to do all the words of this law: and that their children, which have not known anything, may hear, and learn to fear your God, as long as ye live in the land whither ye go over Jordan to possess it." And, in Psalm 50:5 it clearly instructs, "Gather my saints together unto Me; those that have made a covenant with Me by sacrifice." Furthermore, it was noted according to Acts 2:1 "And when the day of Pentecost was fully come, they were all with one accord in one place." Acts 2:46 refers to the same purpose when it states that, "And they, continuing daily with one accord in the temple, and breaking bread from house to house, did eat their meat with gladness and singleness of heart." Finally we see the commandment given in Exodus 20:8-10 where it states, "Remember the Sabbath day to keep it holy. Six days shalt thou labor and do all thy work: But the seventh day is the Sabbath of the Lord thy God: in it thou shalt not do any work, thou, nor thy son, nor thy daughter, thy manservant, nor thy maidservant, nor thy cattle, nor thy stranger that is within thy gates: For in six days the Lord made heaven and earth, the sea, and all that in them is, and rested the seventh day: wherefore the Lord blessed the seventh day, and hallowed it." To worship the Lord in Spirit and in Truth. We come together as believers within the Christian church, a place of worship, as we give our sacrifice of praise and dedication to Him. We do this in corporate and individual prayer, in music, and in uplifting Him with our mouths and our hearts as we give honor and glory to God. These scripture verses give instruction on this as well: Psalm 133:1 says, "Behold, how good and pleasant it is for brethren to dwell together in unity!" Again, in 1 Chronicles 16:29 it says," Give unto the Lord the glory due unto His name: bring an offering, and come before Him: worship the Lord in the beauty of holiness." And in John 4:23 it says, "But the hour cometh, and now is, where the true worshippers shall worship the Father in spirit and in truth: for the Father seeketh such to worship Him." Also, it tells us how we are to praise Him in song, such as in Psalm 100:2 which says we are to, "Serve the Lord with gladness; come before His presence with singing." Again, in Hebrews 13:15 it says, "By Him therefore let us offer the sacrifice of praise continually, that is, the fruits of our lips giving thanks to His name." Furthermore, in Psalm 150:1-3, "Praise ye the Lord. Praise God in His sanctuary: Praise Him in the firmament of His power. Praise Him for His mighty acts: Praise Him according to His excellent greatness. Praise Him with the sound of the trumpet: Praise Him with the psaltery and harp." Then in 1 Chronicles 16: 23-29 it also proclaims how we are to praise and worship Him as it says, "Sing unto the Lord, all the earth; show forth from day to day His salvation. Declare His glory among the heathen; His marvelous works among all nations. For great is the Lord and greatly to be praised; He also is to be feared above all gods. For all the gods of the people are idols: but the Lord made the heavens. Glory and honor are in His presence; strength and gladness are in His place. Give unto the Lord, ye kindreds of the people, give unto the Lord glory and strength. Give unto the Lord the glory due unto His name: bring an offering, and come before Him: worship the Lord in the beauty of holiness." Within a true Christian church you will also find believers worshipping continually in prayer, whether it be through corporate or individual prayer. These scripture verses allude to that fact: James 5:14 tells us, "Is any sick among you? let him call for the elders of the church; and let them pray over him, anointing him with oil in the name of the Lord." Another in Matthew 18:19-20 admonishes us, " Again I say unto you, 'That if two of you shall agree on earth as touching anything that they shall ask, it shall be done for them of my Father which is in heaven. For where two or three are gathered together in my name, there I am in the midst of them." Also, in Acts 1:14, right after Jesus was ascended up to heaven, and before the beginning of the early Christian church it tells us, "These all continued with one accord in prayer and supplication, with the women, and the mother of Jesus, and with His brethren." To admonish and uplift other believers within the Christian church body. This is so important in that we as believers go through many heartaches, trials, tribulations and joys in our daily walk with Christ that we need a place to go to that creates unity in spirit, body, and soul. God's word instructs us further within these passages: Romans 10:14 says, "How then shall they call on Him whom they have not believed? and how shall they believe in Him whom they have not heard? and how shall they hear without a preacher?" Also, Colossians 3:16 tells us, "Let the word of Christ dwell in you richly in all wisdom; teaching and admonishing one another in psalms and hymns and spiritual songs, singing with grace in your heart to the Lord." Furthermore, in 1 Corinthians 14:26 it says, "How is it then, brethren, when ye come together, everyone of you hath a psalm, hath a doctrine, hath a tongue, hath a revelation, hath an interpretation. Let all things be done unto edifying." Also we see in Hebrews 3:13, we are told,"But exhort one another daily, while it is called To day; lest any of you be hardened through the deceitfulness of sin." And finally, in Hebrews 10:25 we are commanded here, " Not forsaking the assembling of ourselves together, as the manner of some is; but exhorting one another: and so much the more, as ye see the day approaching." As you can see, in the grand scheme of things, Christ has built and is continually building His Christian church, which will ultimately prevail against the devil and any other evil force which may come against it. Attending a Christian church with other believers gives us hope for today and tomorrow and should be a driving force for your spiritual worship as well. In closing, I want to give you some hope, peace, and joy while I attempt to uplift your soul with the words from Paul in Colossians 1:23-27 where he comforts us with these words, "If ye continue in the faith grounded and settled, and be not moved away from the hope of the gospel, which ye have heard, and which was preached to every creature which is under heaven; whereof I Paul am made a minister; Who now rejoice in my sufferings for you, and fill up that which is behind of the afflictions of Christ in my flesh for His body's sake, which is the church: Whereof I am made a minister, according to the dispensation of God which is given to me for you, to fulfill the word of God; Even the mystery which hath been hid from ages and from generations, but now is made manifest to His saints: To whom God would make known what is the riches of the glory of this mystery among the Gentiles; which Christ in you, the hope of glory: Whom we preach, warning every man, and teaching every man in all wisdom; that we may present every man perfect in Christ Jesus..." Amen.